There are few things I love more in this world than the color pink. I don't think it's a secret that I am a total girly girl and will remain this way for the rest of my life, regardless of age. This Eliza J Bouclé coat is so cozy and feminine. It's actually the first pink coat I've ever owned and I don't know why I waited so long to add one to my collection. As I get older I've been trying to refine my wardrobe to consist of more neutrals. Pink totally counts as a neutral and I can't wait to wear the heck out of it this winter and even into the spring. The color makes it multi-seasonal! The funnel collar is designed to fold over and button to gently frame the face. I've already put this coat to the test in 30 degree weather and it most certainly kept me warm. If pink is not your color, then I totally understand. It's not for everyone! This coat also comes in black and looks just as chic. 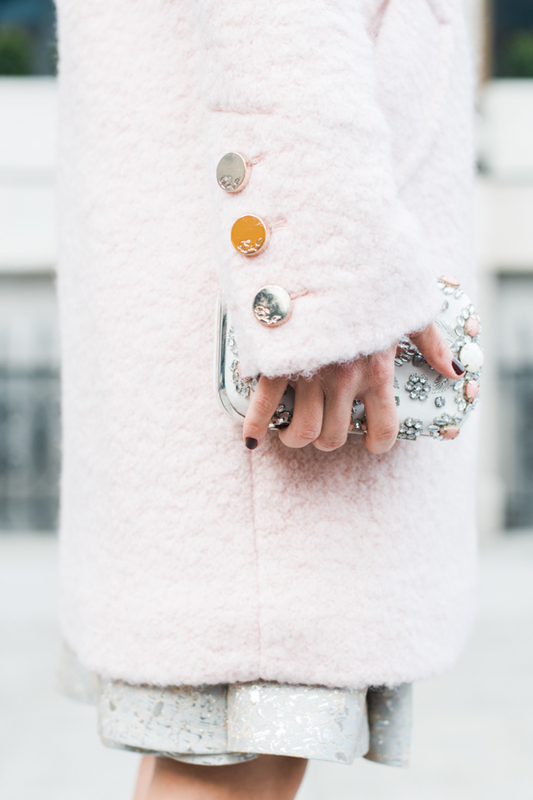 Shop more festive coats below. This is gorgeous!! That coat will go with anything! That coat is so gorgeous! I love the color and texture! Such a pretty coat, I love the color...you look so pretty! This is really a great information.